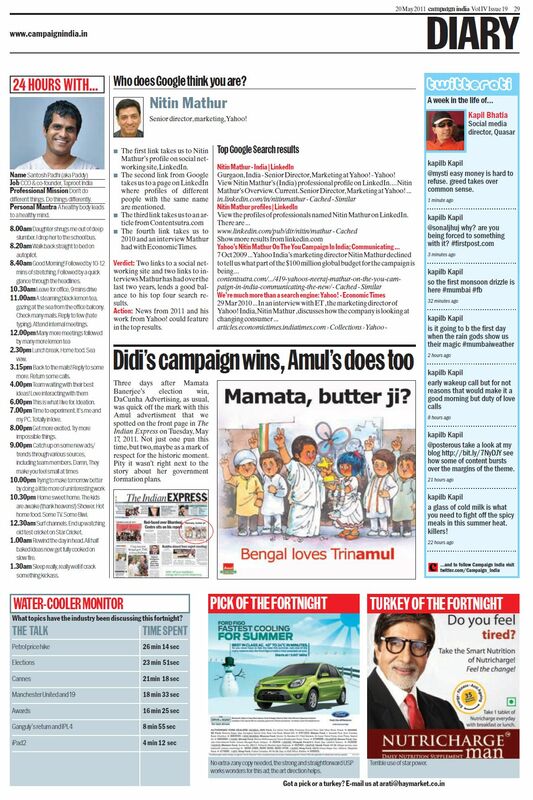 In a late last night tweet sir @additiyom tells me about the twitterati column in Campaign India’s latest issue. Thanks to a super network and some efficient ex-colleagues at Mudra I was able to finally see what the buzz was all about. So here it is for you to stare and for me to smile. Previous Post Starbucks Coffee coming to India. Soon!